If you watched the Billboard Music Awards over the weekend, your undoubtedly already familiar with the Samsung Galaxy S7 since it was the star of the memorable commercial that featured rapper Lil Wayne. Why memorable? Probably because it included Wayne continuously pouring champaign on his S7 and being astounded that it still worked; that’s right, the Samsung Galaxy S7’s premium water-resistant design means it can withstand all those wild champaign parties you attend. 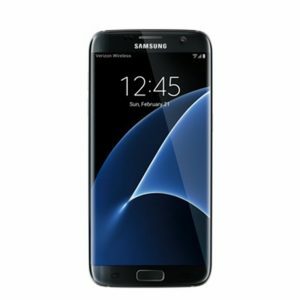 In all seriousness, the Samsung Galaxy has been a mainstay in the smartphone world, and the S7 continues to bring everything you love about the Galaxy series and more. It’s the first smartphone with dual-pixel technology and fast autofocus which means goodbye to blurry photos. And on top of all that, the ultra fast wireless charging will have you have to 100% in no time. Here are a few more of the detailed specs: a Quad HD super AMOLED display that is powered by 2.15 GHz/1.6 GHz Quad Core Qualcomm Snapdragon 820 processor and runs on Android 6.0.1 (Marshmallow). The smartphone is 4G LTE enabled, features 32GB of internal memory and has Non removable 3000mAh battery.